Known as “the anti-bullying novelist,” I write about what really goes on behind the closed gates and doors of our camps and schools. The issues I explore in my novels are those I am passionate about and know well. I was a camper and camp counselor for many summers. When I entered “the real world,” I taught in public schools in California and New York. In my most recent teaching position, I served as a high school reading/language arts specialist, and then I became the district language arts chairperson. In that position, I designed and supervised reading/writing programs for students at all grade levels, facilitated reading groups and writers’ workshops, and selected books for classroom libraries as well as for ancillary and summer reading lists. One of my greatest joys was getting wonderful books into the hands of students and teachers. In the time before Kindles, iPads, and Nooks, I spent countless hours stocking shelves with “good reads.” And I dreamed of seeing my books on those shelves. Now I am thrilled that my young adult novel, CAMP, will be there – and on eReaders too! And not long after that, my adult novel, Danny’s Mom, will be published. My husband and I raised our children on Long Island, where in addition to teaching I was a co-facilitator of an adult writers’ workshop. Now we live in Northampton, Massachusetts, a community brimming with readers, writers, artists, and musicians. Shortly after moving here, I won a prize for short fiction (the perfect welcome for me). And soon I’ll have two novels out: CAMP and Danny’s Mom. I feel as if I’m finally home. To read my award-winning short story, “In the Pink,” click here. To read a short piece about me (Hampshire Life, 2009), click here. To read my short story, “Man in the Mall,” which ranked in the top 10 in the Hampshire Life Short Fiction Contest 2010, click here. For most girls, sleepaway camp is great fun. But for Amy Becker, it's a nightmare. Amy, whose home life is in turmoil, is sent to Camp Takawanda for Girls for the first time as a teenager. Although Amy swears she hates her German-immigrant mother, who is unduly harsh with Amy's autistic younger brother, Amy is less than thrilled about going to camp. At Takawanda she is subjected to a humiliating "initiation" and relentless bullying by the ringleader of the senior campers. As she struggles to stop the mean girls from tormenting her, Amy becomes more confident. Then a cousin reveals dark secrets about Amy's mother's past, which sets in motion a tragic event that changes Amy and her family forever. Camp is a compelling coming-of-age novel about bullying, mothers and daughters, and the collateral damage of family secrets. It will resonate with a wide teenage readership. Camp will be a strong addition to school recommended reading and summer reading lists, and it is appropriate for anti-bullying programs. Mostly, though, Camp is a mother-daughter story for mothers and daughters to share. A compelling and timely novel about a grief-stricken mother who launches a one-woman campaign against bullying in the volatile high school where she works. Beth Maller returns to her job as a high school guidance counselor shortly after her teenage son, Danny, is killed in a car accident. Beth didn’t want Danny to drive that snowy night, but her husband insisted the roads were safe. Beth blames him for Danny’s death, and she blames herself for allowing fear of confrontation to paralyze her. Now back at work, Beth rails against the everyday injustices she had overlooked until her world cracked open. Her new circumstances cause Beth to become a major player in the moral battles being waged at Meadow Brook High—where homophobia snakes through the halls, administrators cling to don’t-rock-the-boat policies, and mean girls practice bullying as if it were a sport. While Beth struggles to find her “new normal,” she learns to speak out, risking her career, her marriage, and the very life she’s learned to embrace. Danny’s Mom illustrates what really goes on behind the closed doors of our schools, from the perspective of the adults who are charged with keeping our children safe. It is a powerful novel that will appeal to all readers, especially mothers, the millions of adults who work in our schools, and the LGBTQ community. A. My novels, CAMP and DANNY'S MOM, were inspired by my work as a high school teacher. I love teenagers -- and I'm troubled by the school and camp cultures in which our teens are learning to navigate their worlds. I'm angry that the adults we charge with keeping our children safe often turn their backs on the victims and ignore the bullies. And as a parent, I was always haunted by the knowledge that danger can be present when we're not around to protect our children. A. My favorite thing about being an author is creating characters and places that are as real to me as…well, as real people and places! When I was writing CAMP and DANNY'S MOM, the characters in those stories were my imaginary friends. I wanted to take care of them and protect them -- yet they took on lives of their own and often made bad choices, which resulted in serious consequences. I love hearing the characters' voices in my head when I'm writing strong scenes. And I love how my characters often lead me to reflect on my own life and the choices I've made. I think that the process of writing makes me a more observant, more appreciative, and more introspective person. A. For me, the toughest part of being an author was getting my books published. 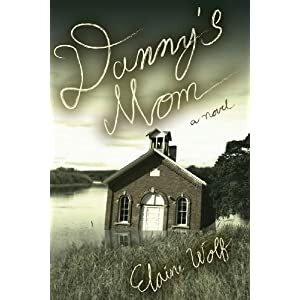 Years ago, when my agent first submitted the manuscripts that became CAMP and DANNY'S MOM, editors at the New York publishing houses said they "loved the characters, loved the writing -- but bullying's too small a story." So my novels sat on my desk for a long time. Last year, with bullying finally on our national radar, my agent sent out CAMP and DANNY'S MOM again -- and this time they both sold quickly. CAMP was just published in June, and DANNY'S MOM will be out in November. A. I'm so glad to be an author! But if I couldn't be an author, I'd own an independent bookstore, or work in a library, or facilitate writing workshops for teens and adults. I'm happiest when surrounded by books and writing projects. A. That's an easy one. The story of my life would be entitled PERSEVERANCE. Just ask my friends and family, and they'll tell you that I never give up. If I hadn't persevered, CAMP wouldn't be out there now, and my second novel, DANNY'S MOM, wouldn't be coming out this November. Q. What inspired the book cover of CAMP? A. 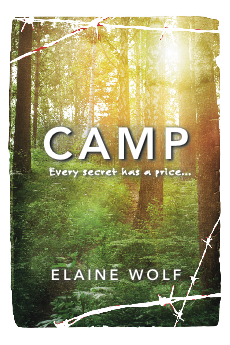 My publisher was great about asking for my input when the designer was working on the CAMP cover -- and after three designs that I felt didn't accurately reflect the tone and story of CAMP, the designer sent me one that became the actual cover. I'm really happy with the cover because it matches the image that was in my head while I was writing the book. CAMP is a dark story (hence the barbed wire), and the title (especially with the barbed wire) is a double entendre. The main character, a teenager named Amy Becker, is on a journey (as characters always are), so I wanted a path in an ominous camp setting. I think the cover designer did a great job! Q. What inspired your crusade against bullying? A. I didn't intend to become an anti-bullying crusader; I started by writing what I hoped would be good, compelling novels. But because CAMP is set in a sleepaway camp and DANNY'S MOM is set in a high school, it was impossible not to write about bullying. So now I'm known as "the anti-bullying novelist," with books that show what really happens behind the closed gates and doors of our camps and schools. I hope my novels are springboards to conversations about bullying -- and that, in concert with the professionals in our communities, we will keep these discussions going until our camps and schools are safe for all kids. Yes, I am now a crusader -- and it's finally time for all of us to stand up against bullying! Q. What advice can you give parents who are dealing with bullying behavior, whether that be their child is a victim or the perpetrator of bullying? A. I'm not a psychologist or trained bullying prevention counselor; I'm simply a writer with hopes that my novels will help keep the bullying conversation going -- in concert with professionals in our communities -- until our camps and schools are safe for all children. As a former teacher and camp counselor, I know that bullies can turn something as simple as waiting for a school bus -- or a camp bus -- into a nightmare. So I would encourage parents to become informed about the bully-prevention policies in their children's camps and schools, and to make bullying an ongoing conversation in their homes. I want parents to do everything they can to ensure that their children are comfortable speaking with them about ANYTHING. And parents shouldn't hesitate to call guidance counselors and school administrators as soon as they perceive a problem; they shouldn't wait for a bullying situation to get out of control before seeking professional help. And if their children are the bullies, then I hope they'll seek professional help too. Little bullies grow up to be big bullies, and bullying is never OK. It's up to all of us to make sure our children know that. A. My favorite book of all time is TO KILL A MOCKINGBIRD. I've read it many times, and Harper Lee is my idol! A. Hmmm….that's a tough one. I think that, as a young girl, I was a combination of Scout in TO KILL A MOCKINGBIRD, Justin Stokes in Gail Godwin's THE FINISHING SCHOOL, and Amy Becker in my novel CAMP. As an adult, I really have a lot in common with Beth Maller in my novel DANNY'S MOM. A. As I said, I'm a lot like Beth Maller in DANNY'S MOM. Fortunately, though, Beth's story is fictional; I never experienced the tragedy she does. A. I live in New England, where my favorite season is fall. I love to take long walks and enjoy the magnificent colors of the leaves. If you haven't seen New England in the fall, you're truly missing out on great beauty! Q. Tell me something interesting that happened while on a book tour or while promoting your book. A. One of the best things that happened while promoting my book is that some of my former students have found me on Facebook. I'm so happy to hear about their lives, and I'm thrilled that they read to their children! A. DANNY'S MOM will be published in November. So I'm currently really busy with CAMP promotion and DANNY'S MOM pre-publication work. But I do have ideas for other books…so stay tuned. A. Sure. Please find ways to make your communities kinder, gentler places for all children. I hope CAMP and DANNY'S MOM will lead to discussions that end the bullying epidemic that threatens our youths. I hope, too, that you'll find CAMP and DANNY'S MOM to be really good reads. If you do, then please tell your friends and help spread the word even more by posting reviews on Amazon, Barnes & Noble, Goodreads, blogs, and other online sites. I invite you to visit my site: authorelainewolf.com, where you'll find more information about me and my novels, as well as links to anti-bullying resources.